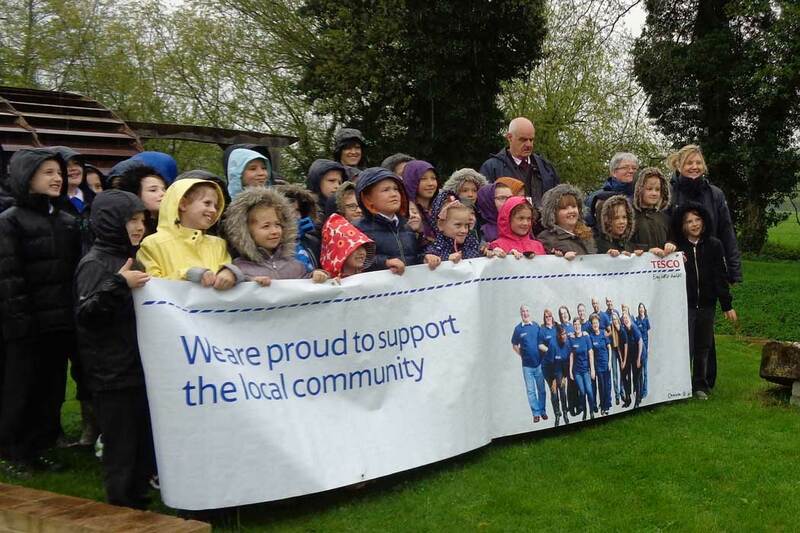 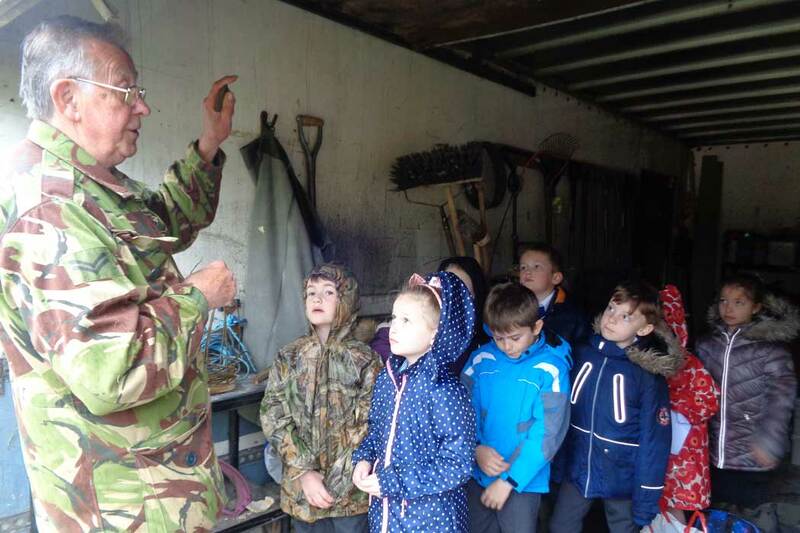 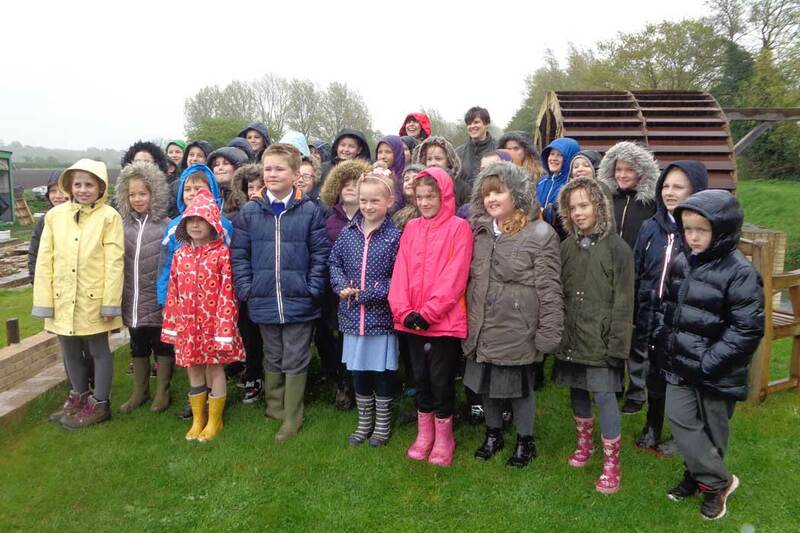 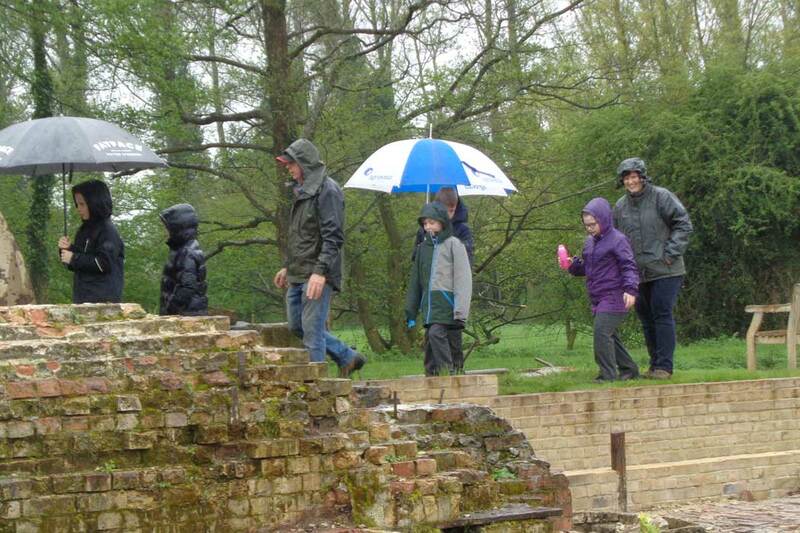 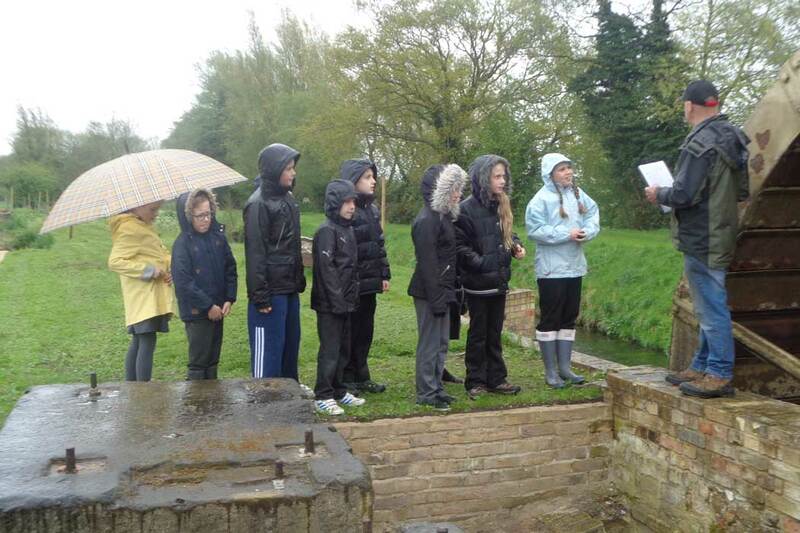 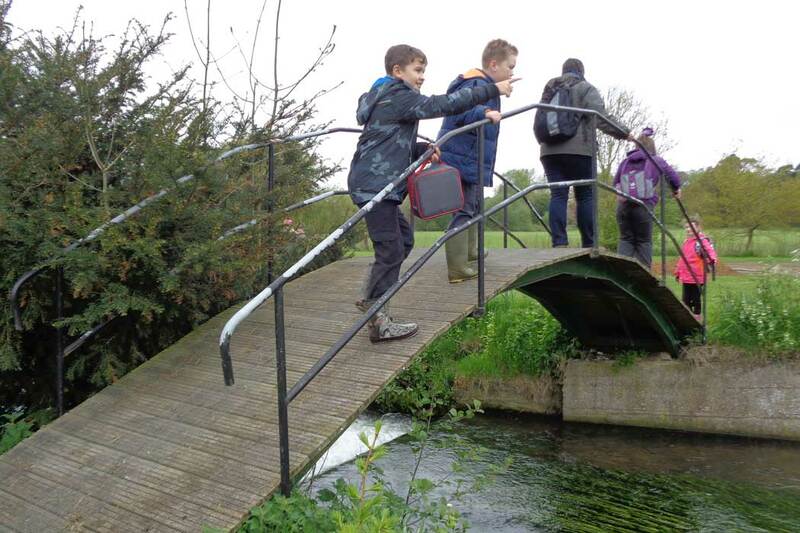 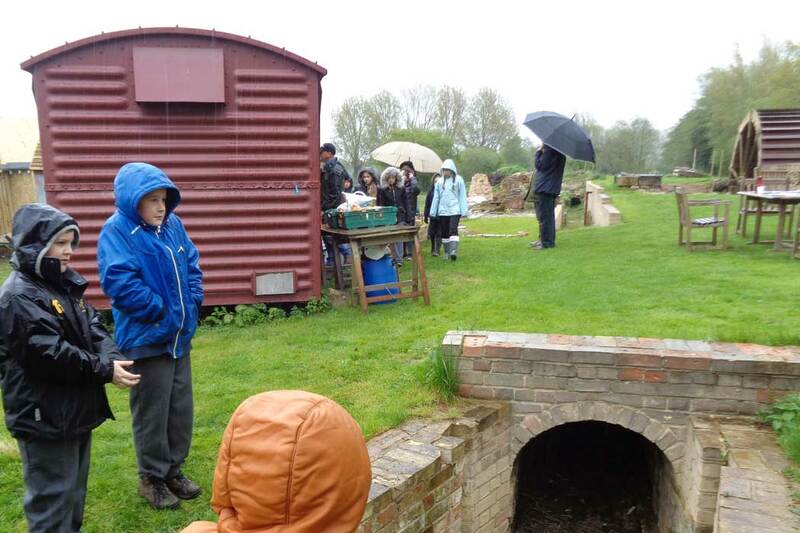 Rain and soggy conditions did not prevent forty children from Narborough Primary Academy from enjoying an activity day at the bone mill site as part of their local history studies. 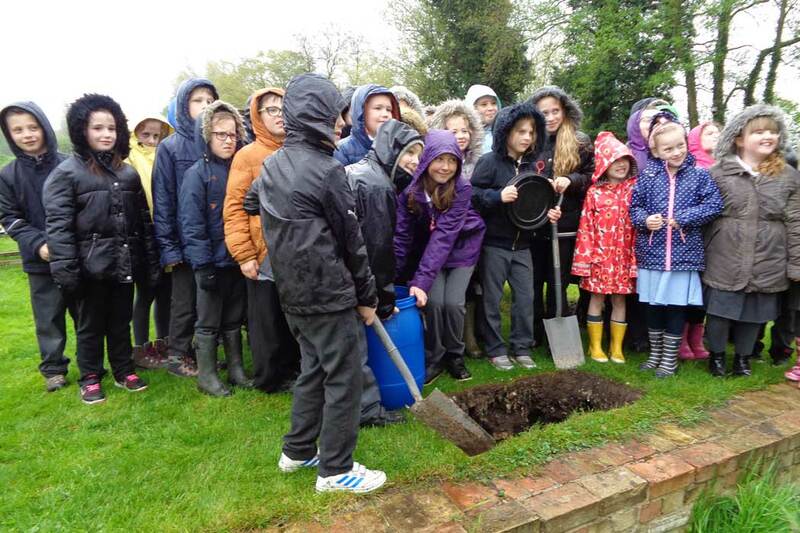 For some weeks the children had been collecting topical items to put in a time capsule to be buried deep underground. 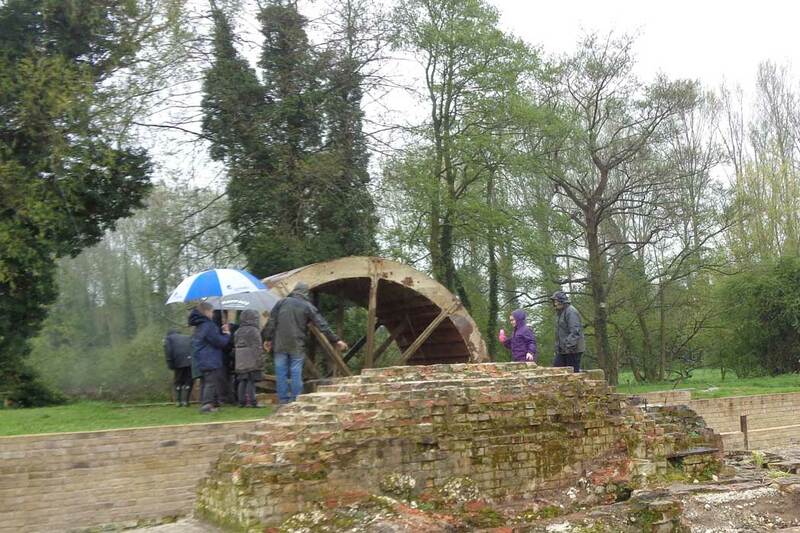 The sixteen feet waterwheel formed an impressive backdrop as the children busied about, trying out metal detecting and magnet fishing, and having the various features of the remains of the Victorian mill explained to them. 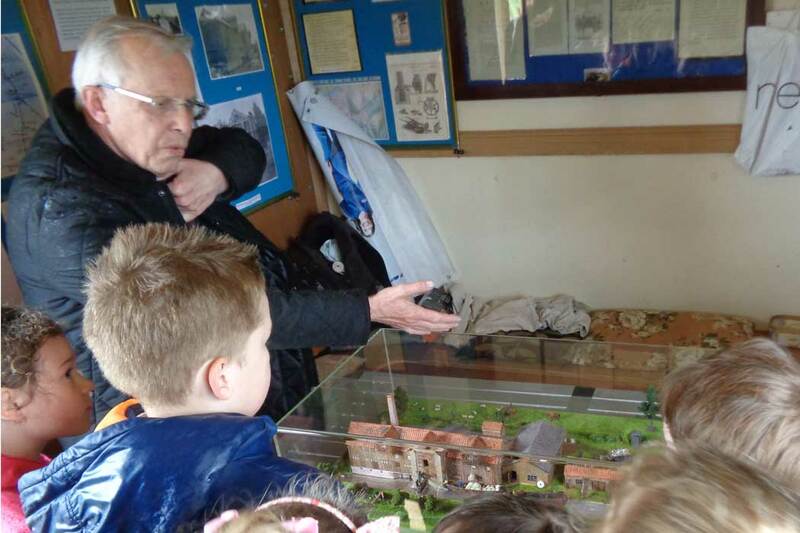 They were also able to see some of the finds displayed in the converted railway wagon, and were the first group to see the newly completed model of the mill as it is thought to have looked in its 19th Century heyday. 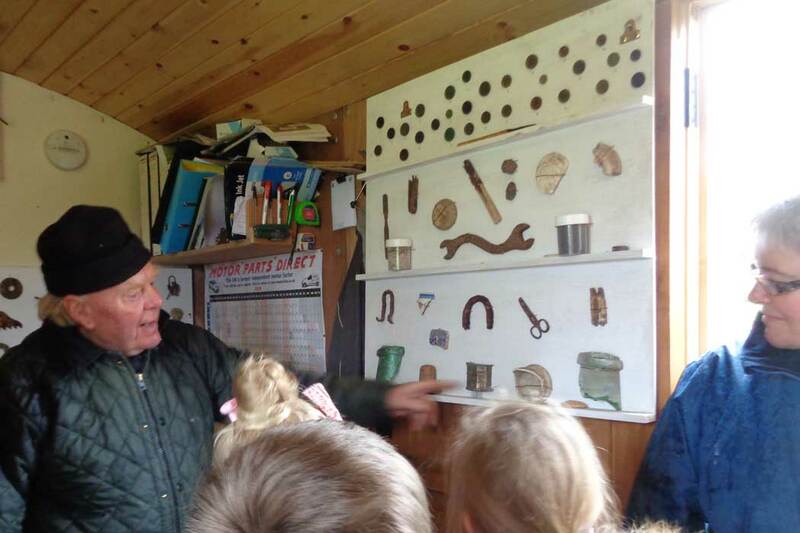 The children learned about the process of turning bones into fertiliser, and what working conditions in the mill might have been like. 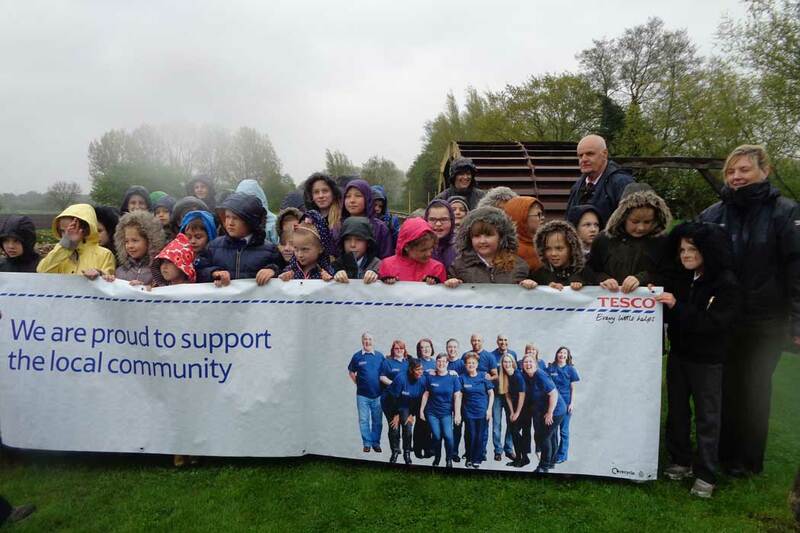 The Swaffham branch of Tesco supplied refreshments, and two of their members of staff who have supported the conservation project were present. 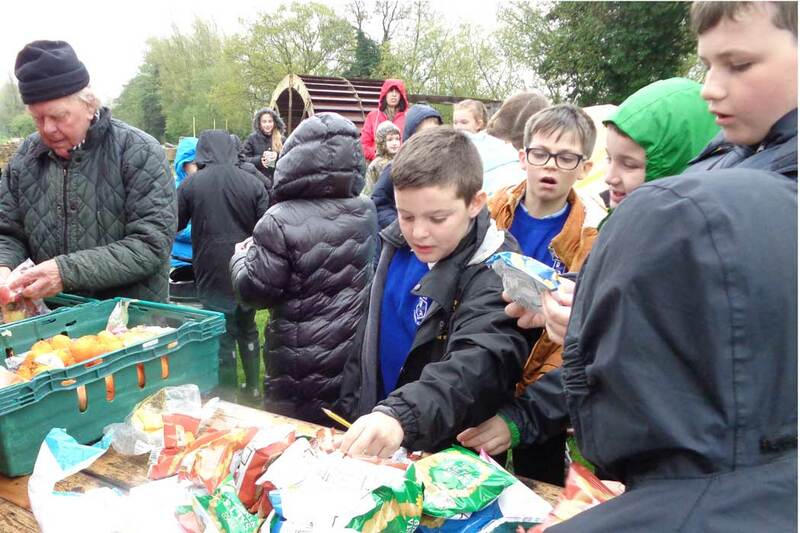 The event was organised by John Atkinson, and other members of the team were on hand to assist with the activities. 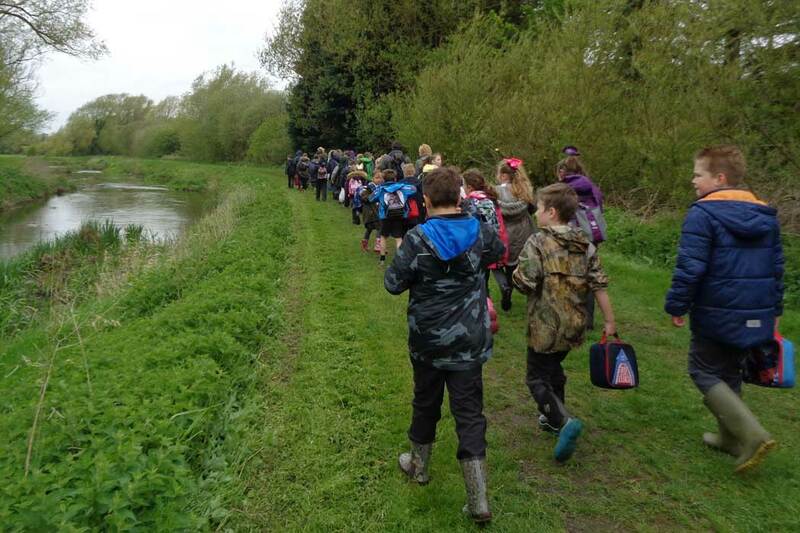 In the afternoon the children headed off on their long walk back to school, rather bedraggled, but hopefully having learned something of Norfolk's rich history.